Ssangyong cars are a South Korean maker with a range of cars for city and family driving. The range includes the Tivoli, Rexton, Musso, Korando and Turismo. If you're looking for a great value car we've got some fabulous Ssangyong lease offers on these pages. 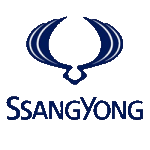 To make sure you see the very latest Ssangyong lease deals sign up for our email alerts.